The aim of the study was to study the different types of valve-sparing aortic root reconstruction techniques to assess the short-term results with respect to improvement of patient's functional status, left ventricular dimensions and functions, and durability of competent aortic valve and to detect predictors of failure of aortic repair. The focus on valve-sparing operations and the concomitant re-evaluation of the functional anatomy of the aortic root have demonstrated that aortic root deformation often coexists with architecturally and morphologically normal valve leaflets. Thus, sparing and realigning the leaflets and reconstructing the aortic root have the potential for avoiding prosthetic valve disease. This was a prospective analytical study conducted on 50 consecutive patients with aortic root aneurysm and dissection associated with significant aortic regurgitation. These patients were operated upon using aortic valve reimplantation technique and studied for aortic valve competence. Follow-up echocardiography was performed within 30 days postoperative, after 6 months, 1 year, and then yearly. Moderate aortic incompetence was found in four patients (P = 0.001) at 1 year, with 100% freedom from reintervention for valve-related problems. Valve-sparing aortic root reimplantation (Tirone-David technique) is effective in correcting aortic insufficiency due to aortic root diseases, with good results with respect to durability of aortic repair. The focus on valve-sparing operations and the concomitant re-evaluation of the functional anatomy of the aortic root have demonstrated that aortic root deformation often coexists with architecturally and morphologically normal valve leaflets. Thus, sparing and realigning the leaflets and reconstructing the aortic root have the potential for avoiding prosthetic valve disease including thromboembolism, hemodynamic mismatch, and bacterial endocarditis . The risk for early technical failure can be reduced with routine use of intraoperative transesophageal echo and adjustments of the reconstruction as necessary to achieve perfect valve function before leaving the operating room . Aortic valve-sparing operations are used to repair aortic root aneurysms. There are two techniques for aortic valve-sparing operations: reimplantation of the aortic valve and remodeling of the aortic root. The reimplantation method seems to be less likely to result in annular dilatation and ensures great freedom from recurrent aortic insufficiency, and as a consequence greater freedom from reoperation in the long term . The reimplantation technique, described by David and Feindel in 1992, resuspends the aortic annulus and the attached cusps within a Dacron graft in a manner to allow restoration of the subcommissural triangles to a more acute angle, thereby restoring valve competence and stabilizing the aortic annulus . In our study, the different types of valve-sparing aortic root reconstruction techniques were studied to assess the short-term results with respect to improvement of patient's functional status, left ventricular dimensions and functions, and durability of competent aortic valve and to detect predictors of failure of aortic repair. The Ethics Committee of the Faculty of Medicine, Menoufiya University approved the data collection within the project and patients consent was written. This was a prospective study on 50 patients at a private hospital from May 2012 to May 2014 with aortic root aneurysm and dissection associated with significant aortic regurgitation. These patients were operated upon using aortic valve reimplantation technique and studied for aortic valve competence by comparing the preoperative, immediate postoperative, 6-month, and 1-year follow-up echocardiographies. All patients with aortic root disease (type A acute aortic dissection or ascending aortic aneurysm >5 cm) and significant aortic insufficiency without organic changes in the aortic valve leaflets, regardless the aneurysm size and the left ventricular function, were included. Patients with organic valvular affection (rheumatic or active endocarditis). Patients with previous open heart surgeries (redo patients). Patients with recent preoperative myocardial infarction or cardiomyopathy. Patients with recent stroke or neurological deficit. Results were collected, tabulated, statistically analyzed by IBM personal computer and statistical package SPSS, version 20 (IBM, Chicago, USA). Two types of statistics were performed: descriptive and analytical. After cardiopulmonary bypass is established, the aorta is clamped just proximal to the innominate artery, and the heart is arrested with cold blood cardioplegia. The aorta is transected below the clamp leaving a sufficient cuff for subsequent anastomosis. The three aortic sinuses are excised and multiple horizontal mattress sutures of 2-0 or 3-0 polyester are passed from the inside to the outside of the outflow tract, immediately below the nadir of the aortic annulus, through a single horizontal plane along the fibrous portion of the outflow tract and along its scalloped shape. If the fibrous portion is thin, sutures with Teflon felt pledgets should be used. A tubular Dacron graft of diameter equal to double the average height of the cusps is selected and three equidistant marks are placed on one of its ends. A small triangular segment is cut off along the mark that corresponds to the subcommissural triangle of the left and right cusps. The sutures are now passed through the graft. The sutures are then tied on the outside of the graft. The graft is then cut to a length of ∼5 cm and pulled gently, and the three commissures are also pulled vertically and temporarily secured to the graft with transfixing 4-0 polypropylene sutures, but they are not tied. Once the three commissures are suspended inside the graft, the commissures and the cusps are inspected to make sure they are all correctly aligned. Next, the sutures are tied on the outside of the graft and used to secure the aortic annulus into the graft. This is accomplished by passing the suture sequentially from the inside to the outside right at the level of the annulus and from the outside to the inside at the level of the remnants of the arterial wall. We start at the level of the commissure and stop at the nadir of the aortic annulus where the sutures are tied together. The coronary arteries are reimplanted into their respective sinuses. The coaptation of the aortic cusps is inspected and prolapse is corrected if necessary. It is important that the coaptation level is well above the aortic annulus. Neoaortic sinuses are created by plicating the graft at the level of the commissure. Different types of Tirone-David techniques are used (Tirone-David I, II, III, IV). Group I: 39 patients with aortic aneurysm. Group II: 11 patients with type A aortic dissection. Of the 50 patients, five patients had Marfan syndrome and five patients had bicuspid aortic valve. The average age of studied patients was 53.14 ± 13.12 years (range 16–74 years). There were 32 male patients and 18 female patients. In the aneurysm group, there were 24 male patients and 15 female patients, and in the dissection group, there were eight male patients and three female patients. Regarding pathology, there were 11 patients with type A acute aortic dissection and 39 patients with ascending aortic aneurysm: 18 cases due to chronic dissection, 10 cases with atherosclerotic aneurysm, seven cases with degenerative aneurysms, and four aneurysms due to vasculitis (aortitis). All patients were hypertensive on medical treatment; eight patients were diabetic; 12 patients were dyslipidemic; 30 patients were smokers; eight patients had renal impairment (preoperative creatinine>2); and three patients presented with acute lower limb ischemia (all in the dissection group). Cross-clamp time ranged from 120 to 190 min (average 164 ± 18 min). It was significantly longer in the dissection group (180 ± 18 min) than in the aneurysm group (140 ± 20 min). Cardiopulmonary bypass time ranged from 180 to 260 min (218 ± 28 min), which was significantly longer in the dissection group (220 ± 40 min) than in the aneurysm group (150 ± 30 min) due to the additional time of circulatory arrest for open distal anastomosis. Regarding coronary reimplantation, direct button was performed in 29 patients and modified cabrol technique was performed in 21 patients. The mode of coronary reimplantation was mainly by direct button technique in aneurysms (25 patients of 39) but by modified cabrol technique in dissections (seven patients of 11), probably due to friable tissues of dissected coronaries. Regarding timing of surgery, 33 cases were performed on elective basis and 17 were performed as emergencies. Regarding arterial cannulation mode, the femoral artery was used in 32 patients, right axillary in nine, and aortic arch in nine patients. Total circulatory arrest was used in 16 patients (11 dissections and five aneurysms), with average time 25 ± 13 min with the lowest core temperature ranging from 28° to 24°. Cerebral protection was performed by retrograde cerebral perfusion. Additional cuspal repair was needed in 10 patients; five needed free margin placation; two needed annular ring; and three needed cuspal shaving. Longer ICU stay and total hospital stay were observed in the dissection group in addition to more blood loss and transfusion requirements. There were no postoperative renal or neurological complications. Re-exploration for bleeding was performed in four (8%) patients. Postoperative arrhythmias occurred in 10 patients (seven atrial fibrillation, three supraventricular tachycardia). Heart block and permanent pacemaker placement were performed for three (6%) patients. Two patients needed intraoperative Bentall conversion due to severe aortic regurge by transesophageal echo. Mortality was observed in one (2%) patient at 30th day due to multiple organ dysfunction. Three (6%) patients had wound infection. No late mortality was observed at 1-year follow-up. Follow-up echo was performed within 30 days postoperative, after 6 months, 1 year, and then yearly. Left ventricular dimensions decreased postoperative with statistical significance (P = 0.001). Aortic incompetence (AI) improved postoperative with statistical significance (P = 0.001). Moderate AI was found in four patients at 1 year with 100% freedom from reintervention for valve-related problems [Table 1],[Table 2],[Table 3]. The pathogenesis of AI in cases of aortic aneurysm and dissection is secondary to root disease as annular dilatation and loss of aortic wall support with leaflet prolapse. In these settings, the valve is structurally normal and trials of sparing are better than replacement . Over the past 30 years, a series of procedures had been designed to reconstruct the aortic root of patients with aortic insufficiency, in whom the pathology, and hence the surgery spares the valve leaflets . All of the techniques have evolved based upon an increased understanding of the functional anatomy of the aortic root complex . The purpose of our study was to analyze the results of valve-sparing reimplantation (David I) technique and to compare them with those of the recently published series. In our study, there was significant statistical difference between the preoperative and postoperative echo data with respect to ventricular dimensions and degree of AI. Patients with aortic root aneurysms requiring reconstruction not only have better long-term survival, but appear to have a reduced risk for moderate-to-severe aortic insufficiency developing late with approximately two-third having freedom from greater than 2+ aortic insufficiency at 8 years postoperatively. For the aortic root aneurysm group, David has reported superiority of the reimplantation technique (vs. remodeling) in terms of the freedom from the development of late aortic insufficiency; reimplantation resulted in moderate-to-severe aortic insufficiency in 10% at 8 years versus 45% for remodeling . David has compared his reimplantation technique with his evolving remodeling techniques for patients with aortic root aneurysms and has discovered some disparity in long-term durability of the two procedures. While the survival is excellent 8–10 years following surgery, his experience has demonstrated better durability (freedom from developing moderate-to-severe aortic insufficiency) with the reimplantation technique . He correctly notes that, without reinforcement, the aortic root can continue to dilate with many of the remodeling procedures. While the reimplantation procedure has a theoretical disadvantage of valve leaflet impact on the cylindrically reconstructed sinuses, this appears to be less of a problem in reality . Aortic valve-�sparing root replacement may be advantageous over composite mechanical-valved conduits in younger patients less than 65 years of age to avoid the need for life-�long anticoagulation and associated bleeding risks and thromboembolic complications. Excellent results can be obtained in centers with experience in it. A higher but acceptable reintervention rate can be expected in Marfan syndrome particularly with the remodeling technique . Valve-sparing aortic root reimplantation (Tirone-David technique) is effective in correcting aortic insufficiency due to aortic root diseases with good results with respect to durability of aortic repair. Special considerations are required for patients with bicuspid aortic valve and Marfan syndrome. The combination of cuspal repair with aortic root reconstruction gives better long-term results with respect to aortic valve competence. 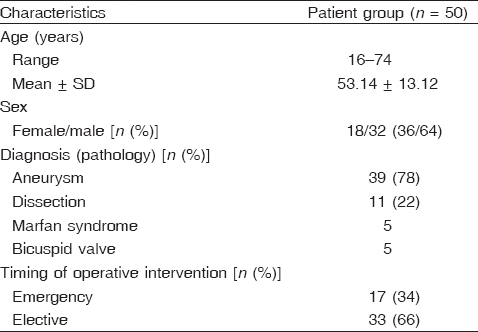 Kamohara K, Itoh T, Natsuaki M, Norita H, Naito K. Early valve failure after aortic valve-sparing root reconstruction. Ann Thorac Surg 1999; 68: 257–259. Schafers HJ, Aicher D, Fries R, Langer F, Schmidt K. Aortic valve repair leads to low incidence of valve related complications. Europ J Cardiothorac Surg 2009; 6:127–132. Meszaros I, Morocz J, Szlávi J, Schmidt J, Tornóci L, Nagy L, Szép L. Epidemiology and clinicopathology of aortic dissection. Chest 2000; 117: 1271–1278. Davies JE, Sundt TM. Surgery insight: the dilated ascending aorta – indications for surgical intervention. Nat Clin Pract Cardiovasc Med 2007; 4: 330–339. De Paulis R, de Matteis GM, Nardi P, Scaffa R, Bassano C, Chiariello L. Analysis of valve motion after reimplatation type of valve-sparing procedure (David I) with a new aortic root conduit. Ann Thorac Surg 2002; 74:53–57. Mangini A, Lemma M, Contino M, Pettinari M, Gelpi G, Antona C. Bicuspid aortic valve: differences in the phenotypic continuum affect the repair technique. Eur J Cardiothorac Surg 2010; 37: 1015–1020. Hopkins RA. Aortic valve leaflet sparing and salvage surgery: evolution of techniques for aortic root reconstruction. Eur J Cardiothorac Surg 2003; 24:886–897. Markowitz A. Utility of the full root bioprosthesis in surgery for complex aorti valve – ascending aortic disease. Semin Thor Card Surg 2002; 13:12–15. Maganti M, Armstrong S. Aortic root aneurysm: principles of repair and long-term follow-up. 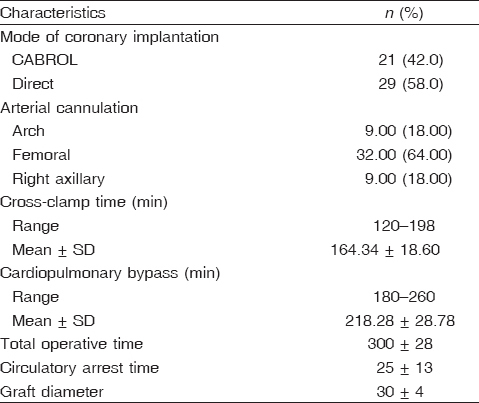 J Thorac Cardiovasc Surg 2010; 31:1139–1147.